We have received information that there is a Facebook profile offering therapy for those who have experienced childhood trauma. This group appears to be fraudulent with the aim of scamming people out of large amounts of money. However the most disturbing is that this profile is targeting people who have experienced abuse and causing some to relive their trauma. Please be vigilant to any profile groups that ask for money, and ensure you research any profile group before giving out personal information. Please note this has been reported to Action Fraud and anyone keen to report has been advised to quote a reference number. 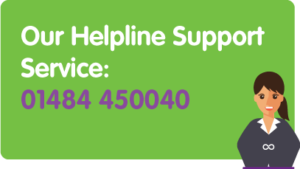 Please ring our helpline on 01484 450040 and we will provide this reference number. Our helpline times are below.